Who’s Thankful For Some Spicy Savings?! The Big Sale Is Back!! FREE Shipping on orders over $45 with code “ILOVEITSPICY”. 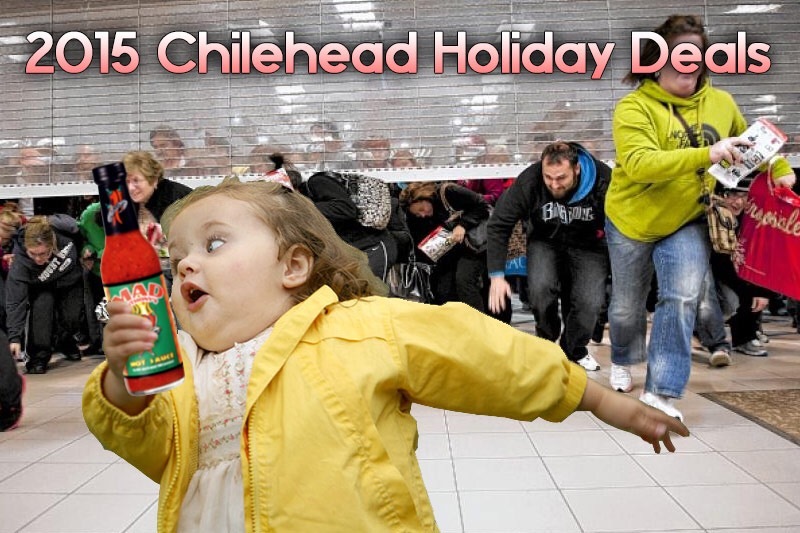 10% off any membership to our Hot Sauce of the Month Club with code “CHILEHEADS”. Our monthly memberships automatically ship for free, plus members get unlimited free shipping on all orders from our online shop. 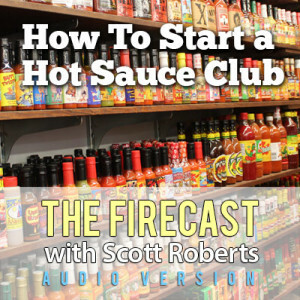 It’s a great way to find new small-batch hot sauces, and it makes a really great gift. Plus, we offer flat rate $4.95 shipping on all other orders and free shipping on all gift sets, no code required. Our Paulina’s Peri Peri Hot Sauce & Syrena’s Seduction Jerk Hot Sauce are available along with everything else. We have in place 15% off of anything through December 30! However, I don’t have free shipping set up. Have to use code Sea15. 30% off all Marie Sharp’s Sauces and 30% off all Pappy’s/Kentucky Bourbon Q Sauces all day Black Friday November 27. 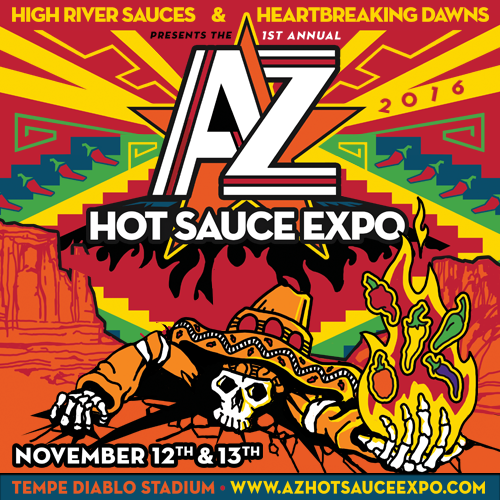 Starting today get your Hot Sauce Bling on with 50% off everything with coupon code: TURKEY. We will be running our annual 50% off Holiday Sale starting Friday November 20th through Cyber Monday November 30th! Starting now thru the end of the year. Hot Line Pepper Products will be offering 25% off all products with our “SAVE25 ” coupon code plus discounted shipping over 4 bottles and FREE swag and products in every order! The more you buy, the more you save and get! Buy a 6 Pack and receive a free shirt. Sale starts om 11/26 and runs through 12/20. We are offering Free shipping and a 2 Pack of Cracker Spice with the purchase of 4 or more items!! Sale runs from November 24th to December 20th. Specify cracker or Hot cracker spice – or 1 of each!! No coupon code necessary. We shun the traditional/corporate-driven “1-day sale” this year – Small Business Saturday, Black Friday, and Cyber Monday? Ha! From NOW through December 20th (or while gift packaging lasts) all 4-pack gift boxes have been discounted for FREE shipping & FREE gift box! No coupon code needed! Supplies are limited (~180 left) so don’t wait until the last second to order! 40 % off everything in our store from Black Friday, November 27th through Cyber Monday, November 30th. 20% off everything plus free shipping on all orders over $35. Use coupon code FREE35. That’s a Lenny Award winner and back-to-back first place Scovie winner for as little as $5.59/bottle with free shipping! Sale runs 11/20 through 11/30. Fat Cat will be offering 30% off all orders through our website from Black Friday through Cyber Monday — use coupon code “HOLIDAYS” to redeem discount. Free shipping on all orders over $50! Get 15% OFF any order over $49 by using the discount code “HolidayGifts2015”. In addition, we are offering a special holiday 2-pack sale on our Gourmet Condiment Gift Set, BUY ONE GET THE SECOND AT 50% OFF! Get FREE SHIPPING on orders of 3 or more items and FREE SHIPPING on all GIFT ITEMS. Shipping discount will be applied automatically in your shopping cart. Check out the ONLINE STORE and GIFT IDEAS section of our web site for details. Use coupon code BLKFRDY33 to get 33% any item on Black Friday. *cannot be used with any other offers. 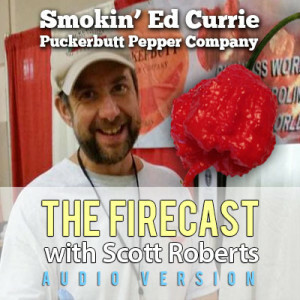 special offer of 20% off everything in the SauceWorld.com store – that includes hot sauce, bbq sauce, wing sauce, jerk sauce, honey, gourmet oils, vinegar, mustard…and more! Enter code: THANKS20 now thru Monday, November 30! Specials are Locked! 30% – 40% off all case orders and variety packs. Now through the end of the year… is our Customer Appreciation Sale! Use code “YearEnd2015” for FREE DELIVERY in the domestic US on all orders over $20. Plus take an additional 15% OFF with code “ILOVEITSPICY”. 25% off all sauces and gift packs starting Nov. 27 thru midnight Nov. 30. Black Friday – Save 25% site wide, coupon code black. Cyber Monday – Free Shipping on orders over $40, coupon code free. Use coupon code HSDBS5 to receive 20% off any on line order from our web site http://www.cinchili.co – Coupon code is good through Dec. 31, 2015. You Know You’re Gonna Want Some…stock up now! Passion Pickles® for the Holidays! SAVE THE JUICE…SAVE THE DAY! Free shipping on any domestic on line order $75 or over. Made with Love is offering FREE SHIPPING on all orders over $75.00 of our “World Champion Wing Sauce” “Alaskan Umami Sauce”, it comes in Mild, Hot & Extra Hot and is good on just about everything! We also have a Mandarin & Sesame Vinaigrette and Marinade that is heavenly on seafood, good with chicken & salads. Our products are made with high quality, all natural ingredients, soy free and gluten free. We look forward to filling your Cyber Monday order on Nov 30, 2015 – the code will be CYBER2015 and you can save 40% off retail prices. 2 HUGE DAYS OF SAVINGS!!! 40% OFF!!! …We Bring the Fyre- AmberFyre!!! Order all 6 flavors of TG’s Hot Sauce with just one click! Remember, we offer FREE SHIPPING on all orders $25+. So the answer is yes… The Ultimate TG’s Variety Pack will ship to your doorstep at no extra charge! Gotta love that free shipping! You’ll also receive free samples of our TG’s Red and TG’s Avocado Green to share with your friends and family. Free mystery bottle of sauce with every order. Promo code “Gobble” at checkout. Our sale will start at 8pm on Thursday and run through Cyber Monday! Remember to try out our new and Brutally Hot Reapercussion Hot Sauce! It’s a 7 Pod Primo Destroyer! From Black Friday through Cyber Monday, save 20% on our entire store, AND get Free shipping! Use Code: iloveitspicy, when checking out. Be sure to try our new flavors: Pumpkin, Garlic Lovers’ Dream (mild & spicy), and Black Cherry Bourbon (mild & spicy)!